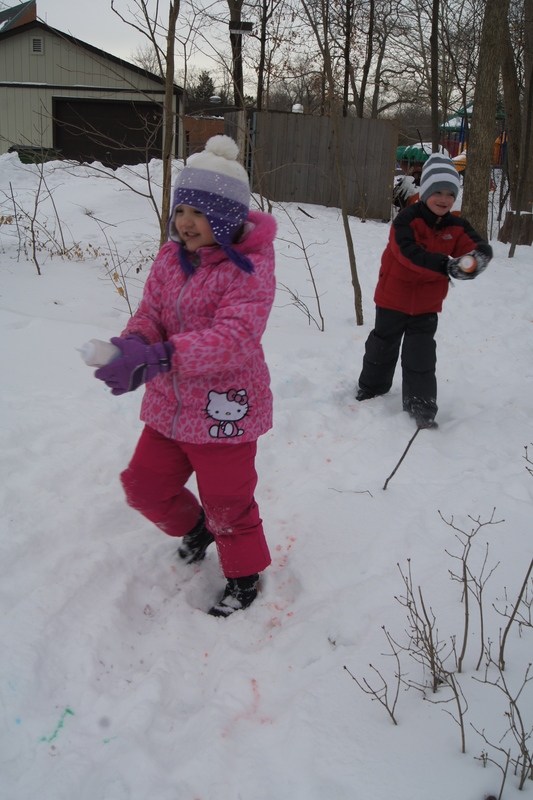 Last week, we went outside to observe the signs of winter. 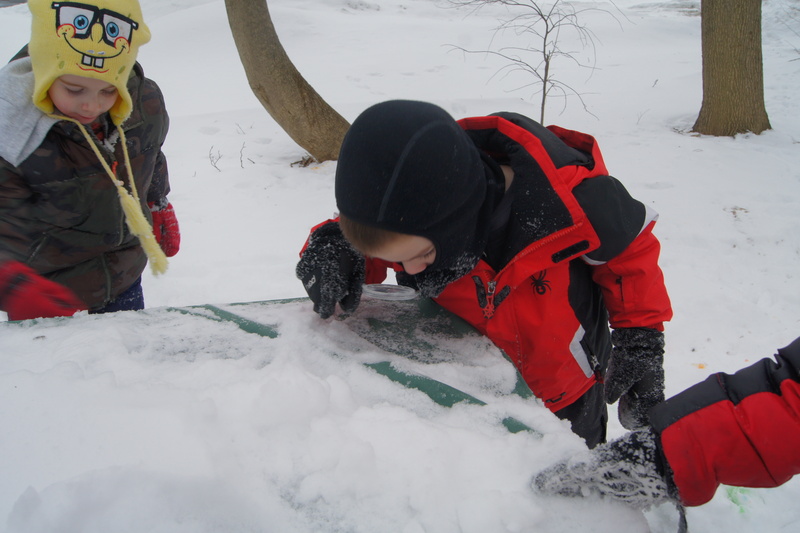 It had been really, really cold around here so the kids had been inside for several days. They were very happy to get out in the sun and snow! First we walked around and talked about what we saw. We compared it to when we went outside to observe the signs of Fall. This time, there were hardly any leaves in the trees, we hardly saw any animals, and there was snow all around us. Then, we took our seasonal class picture. Next, it was time to have some fun! I filled several squirt bottles with colored water. 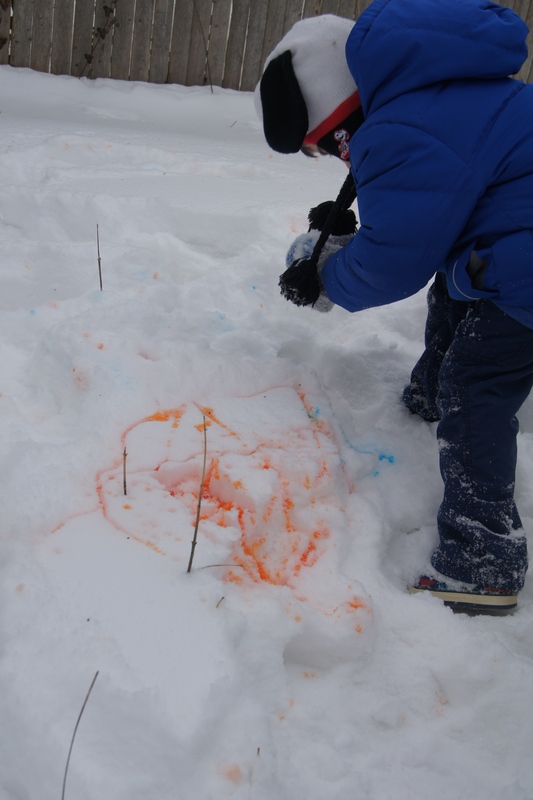 The kids ran around making different colored snow. They loved this part! They mixed the different colors to create new colors. After the water ran out, I gave each child a bottle of bubbles. If you can catch the bubbles on the wand, in this cold of temperatures, you can watch them freeze. Unfortunately for us, it was super windy which made it impossible to catch the bubbles. The kids still enjoyed blowing the bubbles and running after them. They took the bubbles home and hopefully, they were able to try again on a day that was less windy. By the way, next time, I would have each bottle opened and unwrapped and ready for play. The kids had a hard time opening the tops and getting the wands out with their mittens! I also had magnifying glasses out for kids to explore. One of the exciting objects we found were shells from seeds left behind from animals. 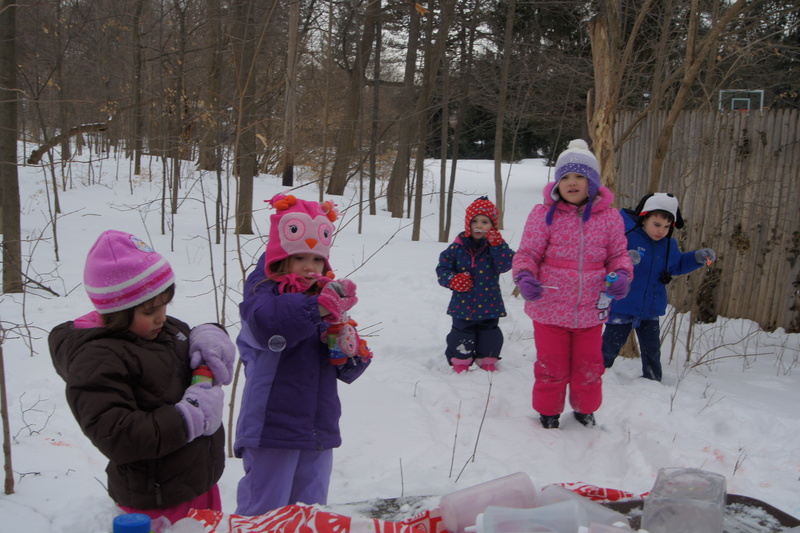 The kids were really excited to get outside and explore! Nice idea about the colored water. It definitely freezing outside but looking at the photos, I really think the kids enjoyed the activity so much!